Almost 600 homeless people died in England and Wales last year. New figures released by the Office for National Statistics today show a 58 per cent rise in the number of estimated homeless deaths in the region in 2017 compared to 2013, when 31 deaths were estimated. Of the 49 estimated deaths, 40 were based on identified records and the ONS said its modelling method “provides a robust but conservative estimate, so the real numbers may still be higher”. 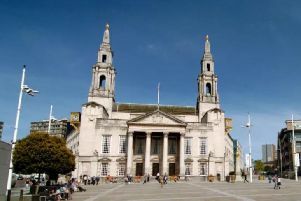 Thirteen of the deaths were in West Yorkshire, with nine in the Sheffield City Region, which covers South Yorkshire and parts of North Derbyshire. Earlier this month, rough sleeper Lee Jenkins became the eight homeless person to die in Leeds in the past 12 months. Across England and Wales, some 597 people sleeping rough or in emergency accommodation were estimated to have died last year - a 24 per cent increase on 2013. The scale of homeless deaths was today branded a “national tragedy”. Labour deputy leader Tom Watson described the death toll’s jump as “abhorrent”. Crisis chief executive Jon Sparkes said: “This is nothing short of a national tragedy - especially when we know that homelessness is not inevitable. Shelter campaign director Greg Beales branded the deaths “a source of national shame”. The Local Government Association said ending homelessness was becoming “increasingly difficult” with a funding gap, as it called for “proper resourcing”. LGA housing spokesman, Councillor Martin Tett, said: “Every death of a homeless person is preventable. We must make this everybody’s business to work together to stop this tragic loss of life and stop homelessness from happening in the first place. “Councils are determined to prevent homelessness and rough sleeping from happening in the first place and support families affected. This is becoming increasingly difficult with homelessness services facing a funding gap of more than £100 million in 2019/20. But over that period the estimated toll in London remained largely stable, whereas the North West saw a jump of 115 per cent from 55. Estimates for the North East also saw a 71 per cent increase, from 18 to 32. Government figures released last week showed the number of households living in temporary accommodation in England had risen by five per cent in a year to 82,310. Work on the latest ONS figures was prompted by research from the Bureau of Investigative Journalism, supported by The Yorkshire Post and other regional newspapers, in October, which found that at least 449 homeless people had died in the UK in the previous 12 months. Ben Humberstone, head of health and life events for the ONS, said: “Every year hundreds of people die while homeless. These are some of the most vulnerable members of our society so it was vital that we produced estimates of sufficient quality to properly shine a light on this critical issue. “Today we have been able to do just that. We estimate that in 2017 there were 597 deaths of homeless people in England and Wales, a rise of 24 per cent since 2013. Homeless men died on average at the age of 44 and women at 42 in that period, compared to 76 and 81 for the general population respectively, the figures suggested. Communities Secretary James Brokenshire said the Conservatives are investing £1.2bn to tackle homelessness and end rough sleeping by 2027. “It is simply unacceptable to see lives cut short this way. I believe we have a moral duty to act,” he said. Shadow Housing Minister Melanie Onn said council and social housing cuts had played a part in the figures.